Taste profile from the winemaker: "A soft, semi-dry wine made from the juice of Maui grown pineapples. Its pineapple flavor is subtle with a lingering finish. This wine can be served for all occasions and is a great compliment to Pacific Rim cuisine." ABC Wines review: A golden yellow in color, this wine has (not surprisingly) a strong aroma of fresh pineapple with a few herbal notes. Rather sweet on the palate (but not excessively so), the flavors lack depth and complexity. The finish is surprisingly long and smooth though is missing a bit of acidity for balance. A nice wine to serve with spicy Asian dishes. Our score: Better than we expected but priced on the high side. Average at best. 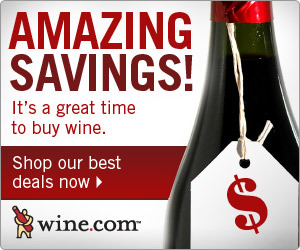 Special Savings: 1 Cent Shipping at Wine.com! Special Savings: Fall Discounts at Wine.com!